Every Mommy has a story. This is my opportunity to recognize these Moms and their experiences. In this post, we learn about Melissa, who did not know she was suffering from Postpartum Depression. I don’t think I can say that I was prepared for my labor. I wish I knew that there were so many different birth stories and situations. It always seems like the birth classes prepare mothers for a long and grueling labor. They never seem to talk to you about a fast one. I can remember the day of my son’s birth so clearly – the pain, and the fact that it did not follow my birth plan. The pain was unbearable, especially as I walked from the hospital triage to the delivery room. The pain seemed to strike in intervals, and it was different from the pain I had endured all day. I requested an epidural, which I had previously insisted that I would not do. After it was administered, the nurse told me to lie down on my side. When they realized that I could, the nurse discovered that I was ready to give birth. I had gone from 3 cm to 10cm. My son was born within those 30 minutes. This was the start of my PPD journey. Once my son was born, I didn’t feel overjoyed or excited. Instead, I felt anxious and overwhelmed. When the nurses handed my son to me, I didn’t know what to do with him. I was confused and wondered why they weren’t helping me out. It was a rude awakening – I felt that no one was going to help me. My son was mine, and mine alone to take care of. Friends did come by to wish us well at the hospital, but I still felt helpless. My boyfriend had also gone home for the evening, and I thought he assumed that I knew what to do. The rest of the night, I felt that no one was going to help me. I saw a number of nurses within the day, and I felt some of them showed no empathy. There I was, with a screaming, hungry baby. I was bleeding and losing water. I felt swollen and worse, I felt completely alone. I was discharged from the hospital the next day. Not long after we got home, we had many visitors stop by. Additionally, my boyfriend’s grandmother and mother were staying with us while visiting. It was completely overwhelming for me. I felt out of sorts and our living space seemed to close in on me. Even with all these people around me, I kept wondering why no one would help me. I wanted someone to hold and feed my son so that I could finally rest. I was not on speaking terms with my own mother, so I was not able to confide in her or ask her for help. I really did not have anyone else to turn to. My other mama friends did not have any experience with PPD, so I did not feel like I could confide in anyone. I was only able to turn to one close friend, who was the only person I trusted with my feelings and questions. I continued to feel clueless and I felt no joy from becoming a mother. The only thing that kept me going was my sense of duty to my family; I knew there was a role I had to fill. There was an adult responsibility that forced me to get up every day. I knew that I would suffer consequences if I didn’t. Dark thoughts began to fill my mind. Often, while I was feeding my son, I thought of ways to do away with him. I thought of using the oven or tossing him over the second level balcony. What kept me from doing so was the reminder that it was my duty to keep him alive. Over the next few months these thoughts would fill my mind time and time again. I was exhausted, upset, and anxious; I often felt disconnected from my body and mind. Later, I met up with an old romantic interest from my past. I needed something to remind of my past life – working full time and new motherhood was a lot. This person was now a friend, and they helped me feel like my old self. I was reminded of what joy felt like, and what my interests were. With their help, I was able to regain some of myself. Going back to someone who could remind memories and me of my past self was helpful. For five years, I suffered through what I now know was Postpartum Depression. We discovered it two years after my son’s birth. His father had told me he had heard from a coworker about PPD, and that I needed to seek help. It was then I went to do so. Therapy was very helpful to me. I found it to be beneficial for both PPD and other matters in my life. Eventually, I did recover, and I knew things were over once I stopped yearning for the past. I began to feel more grounded, could think clearly, and focus on the present. Now, it feels like I never went through this experience. I am able to put those feelings and memories away. I now have very strong and emotional bonds with my husband and son. I used to feel a lot of hesitance and reluctance. Now, I find strength from being a mother; I can address things and speak up when it comes to my family. I had never been able to do that before! I am really enjoying motherhood and all the things that come with it. For those that are suffering, there is a difference between your imagination and reality. Step away from the situation before you find yourself making mistakes. Don’t let pride get in the way and think that this is something that you have to do alone. Do not be afraid to confide in your partner and feel like you are being judged. You should always stand up for yourself! Find the inner strength to keep going! If you or someone you know is suffering from PPD, there are resources out there for you. Please check the resources page for more information or feel free to contact me for support. You are not alone! Wow! I am so sorry that you had to go through that. I can’t even imagine what that was like for you. I suffer from depression and I know on my depressed feeling days, I don’t want to be bothered with much of anything, including interacting with my son and husband. Where you would think their company would help, it doesn’t. I know it’s not the same as what you dealt with, but I understand feeling alone. I am glad and happy for you that you were able to get help and feel better. I wish you and your the family the best! Thank you, I am feeling much better. Melissa is doing well also – you would never know she experienced this. Wishing you the best also! 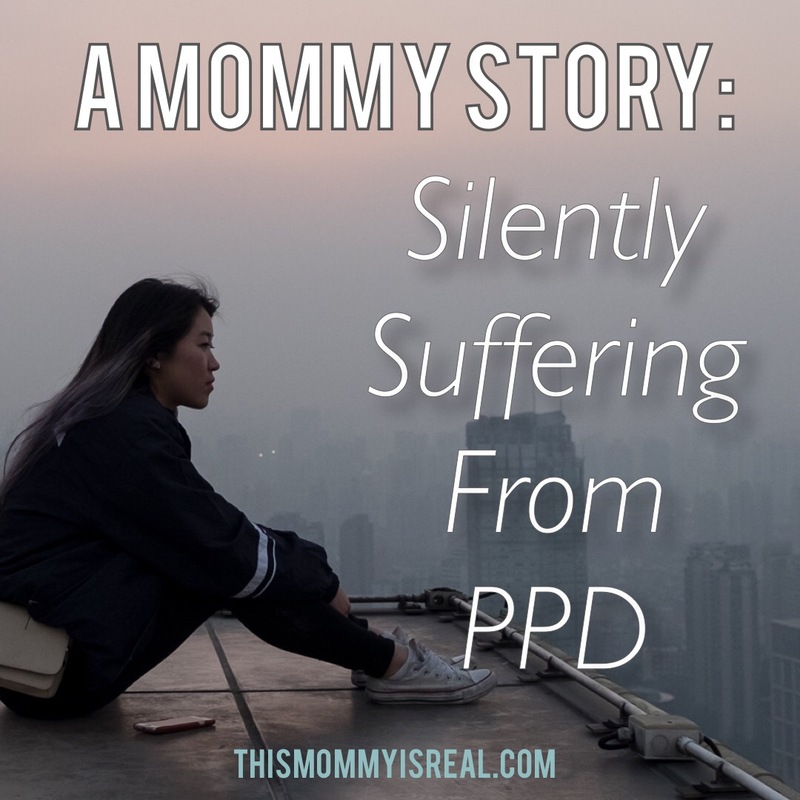 PPD is so very common but the awareness isn’t really out there. As a fellow PPD sufferer I understand the long term effects of not getting help soon enough! I’m so sorry that you had to go through PPD! I’m glad that things are much better for you now. THank you for sharing a story that is often untold. It is so important that we discuss this part of becoming a new mother and to help others that may be experiencing it. Yes, I hope that we’re able to bring more awareness ! I was so blessed to have never gone thru this but my heart goes out to so many women who do…. thank you for sharing your story and being a resource to others..